Life is about building bridges. 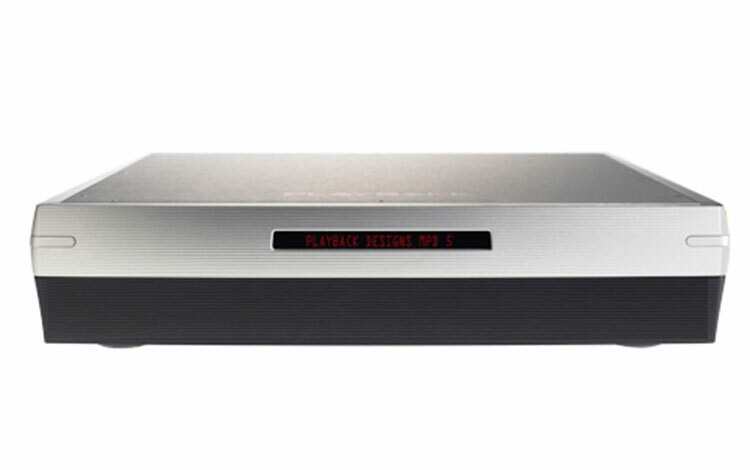 Sure, we measure each and every unit that we ship, but the most important step is the final listening session that occurs just prior to packaging the unit for shipment. 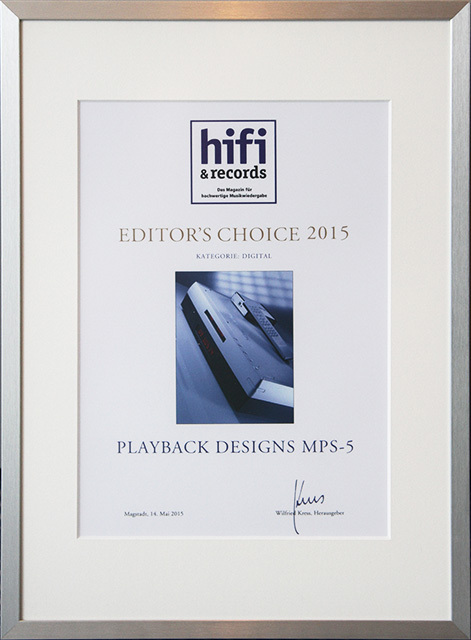 We believe that Playback Designs’ systems represent the finest audio playback in the world for the finest listening system in the world… your ears! 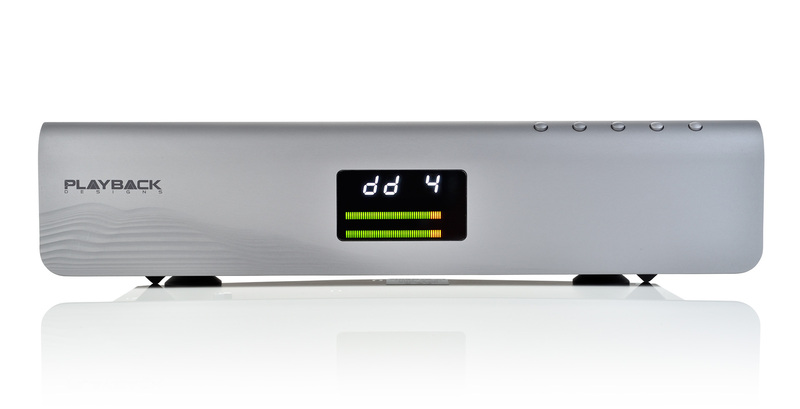 The Sonoma Recorder is a free software application for the Windows platform that allows you to record natively any digital audio being generated by the Pinot A/D Converter or being played through the Merlot D/A Converter. 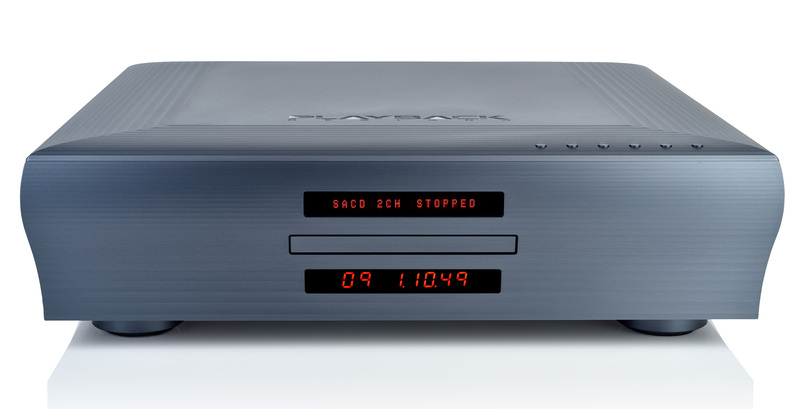 It creates .wav (PCM), .dff (DSD) or .dsf (DSD) files that can then be played on the Playback Designs Syrah Server. 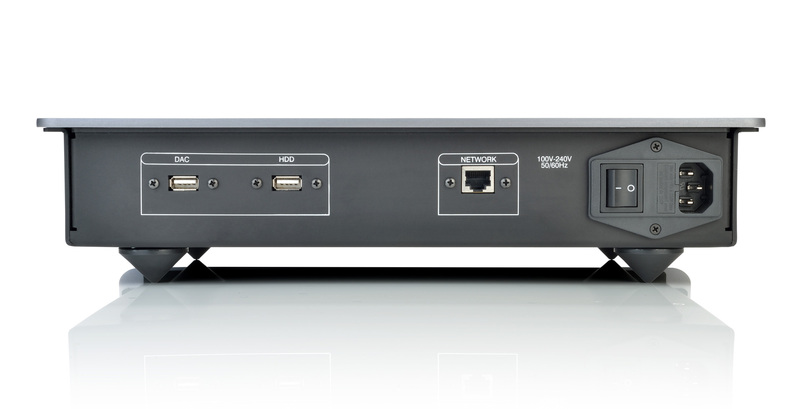 The Stream-IF provides streaming connections from internet, network attached storage and USB sources (computers, servers etc. 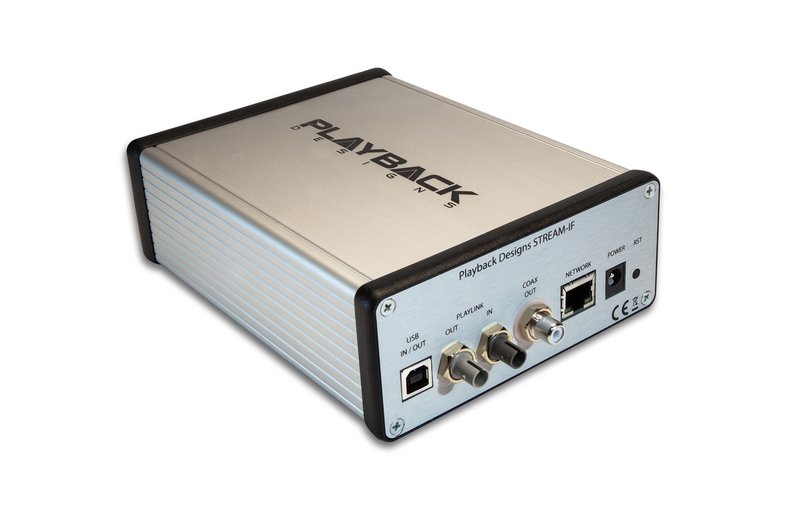 ), carefully removes any incoming jitter by Playback Designs' proprietary clocking and buffering system and then encodes all data natively to either the standard Coax output or the Playback Designs proprietary PLINK output. 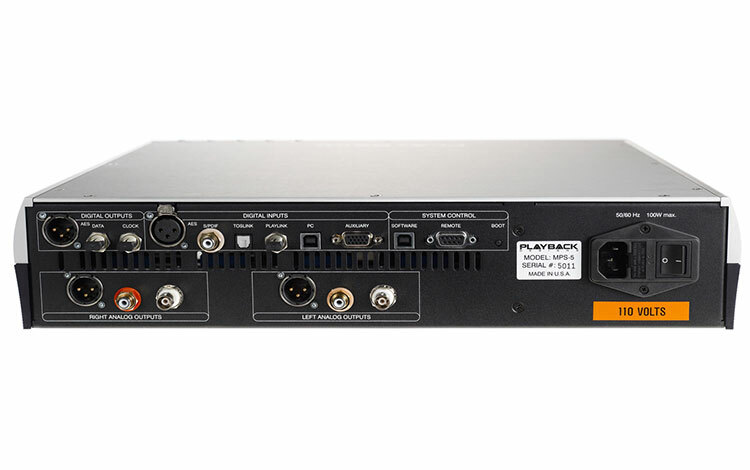 PLINK is a high quality fiber optical link used on most Playback Designs equipment and natively supports all formats of PCM and DSD. Because its media is fiber optical it separates the sensitive circuitry in your Playback Designs DAC from the generally "noisy" digital sources with high clock jitter. 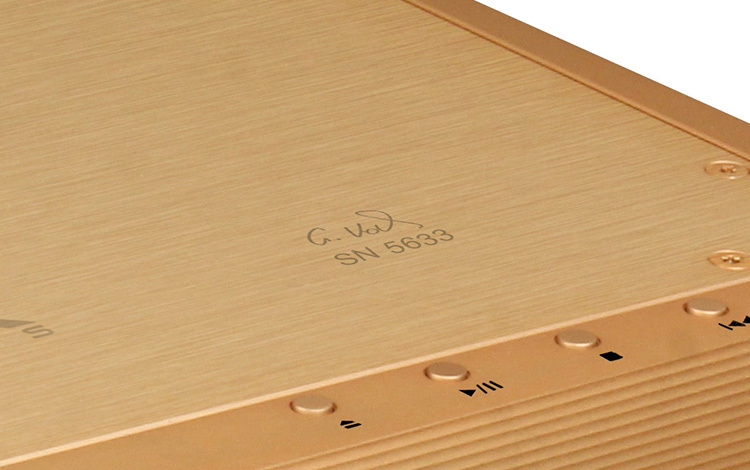 This separation can result in a dramatic sonic improvement when compared to a direct connection with the DAC via for instance USB. 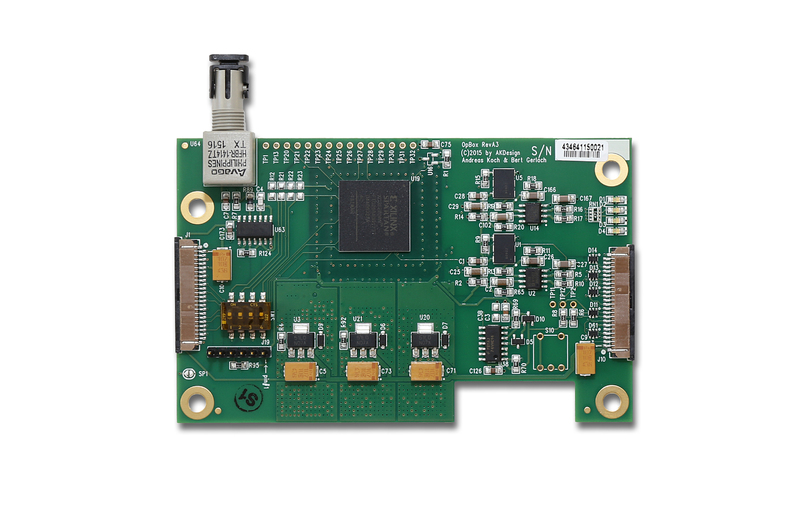 This hardware upgrade replaces most of the clock generator circuitry on the digital board of the MPS-5 and MPD-5 products with new technology that offers much improved clock jitter performance. 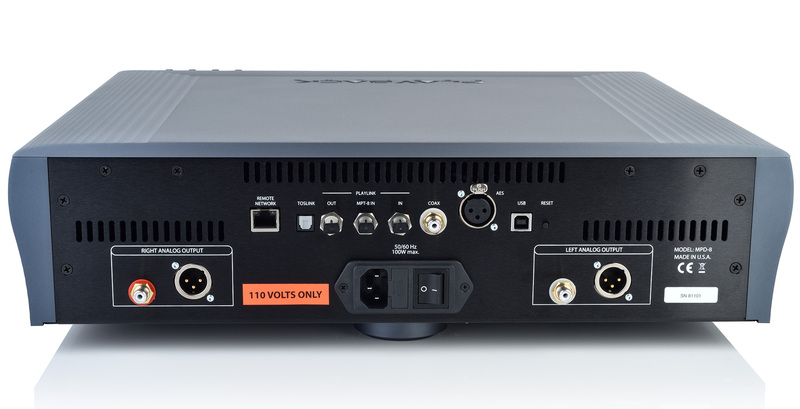 When combined with a software upgrade to version 027 or newer it will offer dramatic improvements in sonic performance, sound stage accuracy, low and high frequency consistency. Please inquire with your dealer for more details and how to get your product updated. 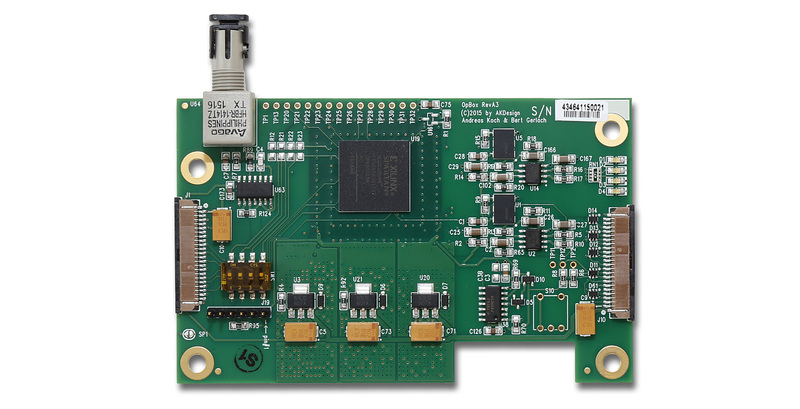 This hardware upgrade replaces most of the clock generator circuitry on the digital board of the MPS-5 and MPD-5 products with new technology that offers much improved clock jitter performance. When combined with a software upgrade to version 027 or newer it will offer dramatic improvements in sonic performance, sound stage accuracy, and bass and high frequency consistency. 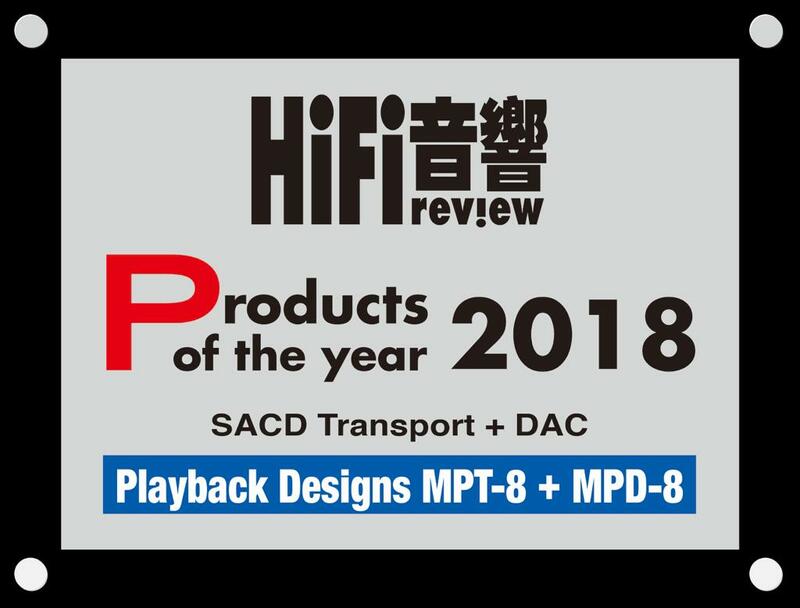 Late production and all limited edition models have already been built with this new technology, but older production ones can now be upgraded to the same performance level. Please inquire with your dealer by providing the serial number of your 5-Series product to find out if it can be upgraded and for further details. The process involves soldering and replacement of electronic parts that only trained and authorized technicians or the factory can perform. 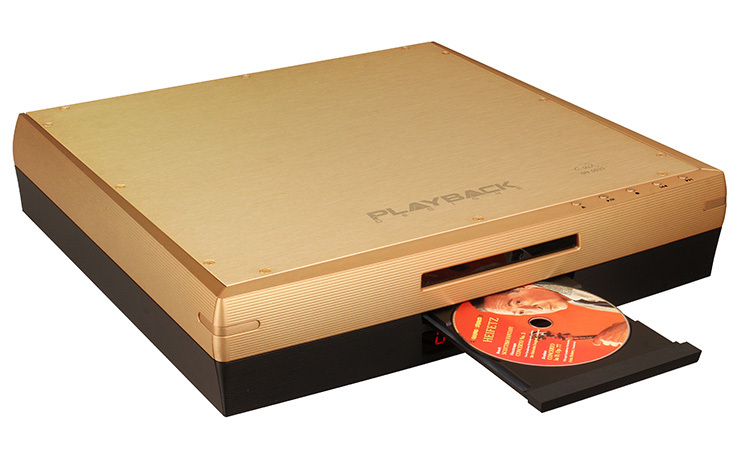 Most people consider digital playback to be sonically inferior to analog playback, whether tape or vinyl. 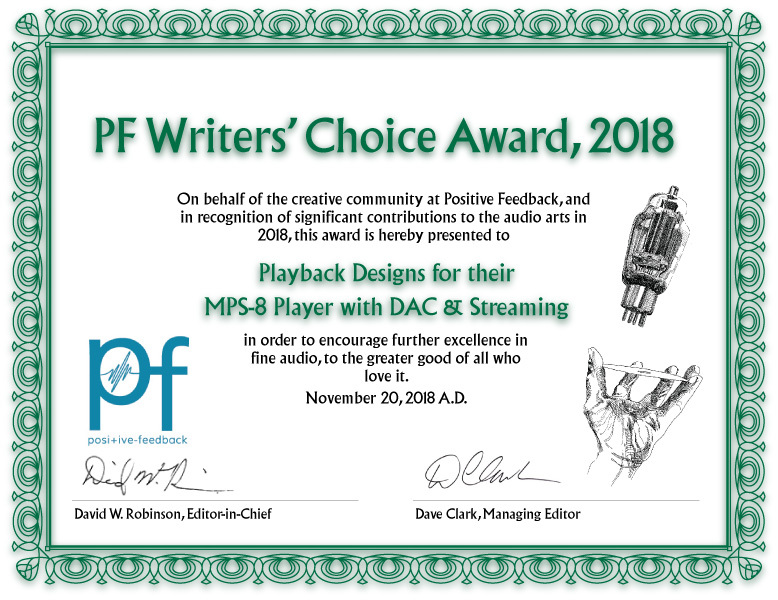 We wanted to match or better the critical areas where we felt analog had superior advantages without losing the benefits of great digital playback. 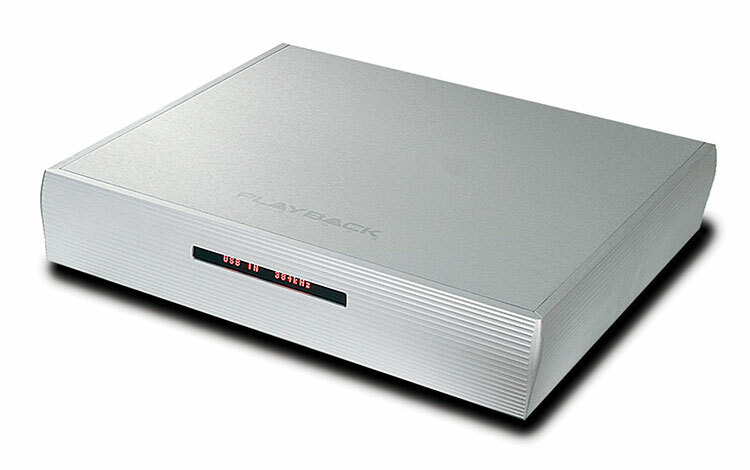 Most digital playback systems produce high frequencies that tend to sound processed or harsh. It is commonly referred to as “digititis” or “digital hash”. 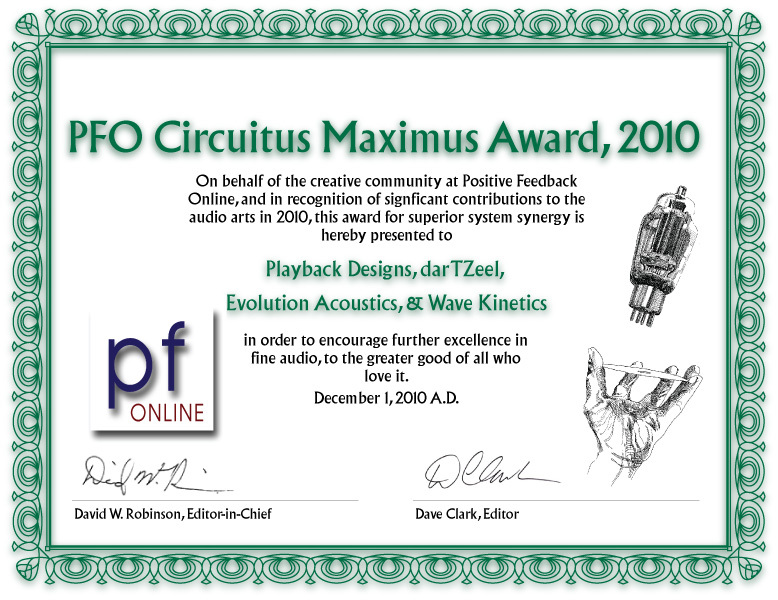 It is an unnatural sound that can cause listener fatigue and irritation during long listening sessions. 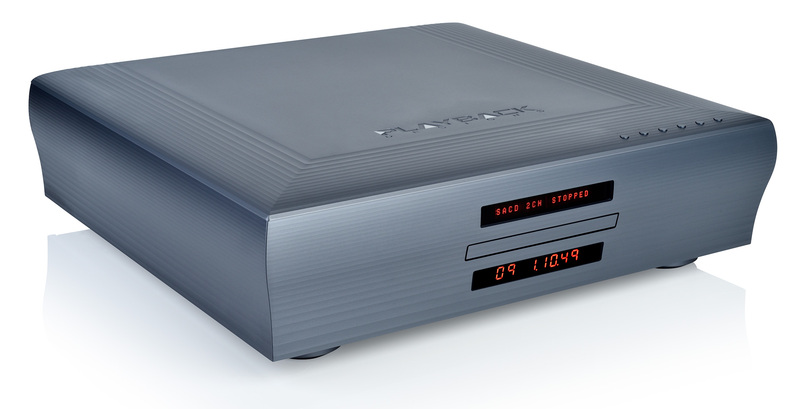 There tends to be a much more visceral experience when listening to analog. 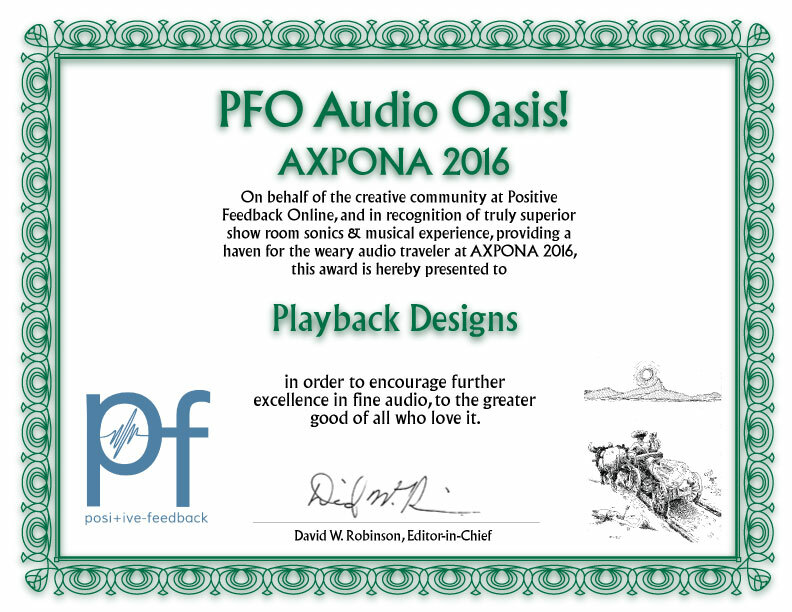 Listeners tend to be less analytical and just accept and enjoy the musical experience more so with tape or vinyl playback. 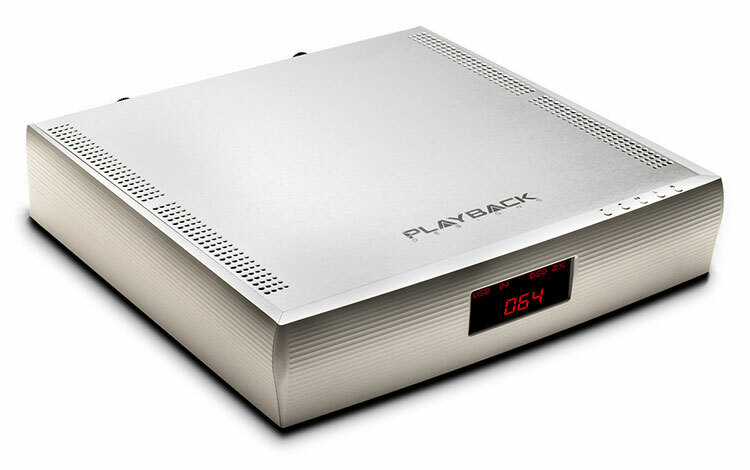 Sonically there is less immediacy that one tends to experience with analog playback. 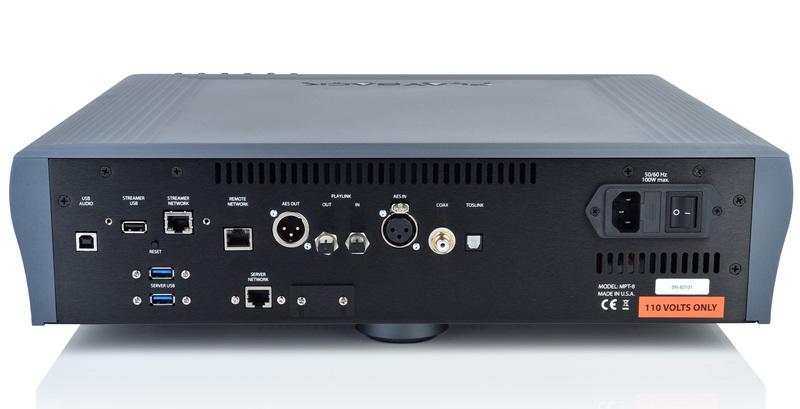 System flexibility and upgradeability to prevent equipment obsolescence. 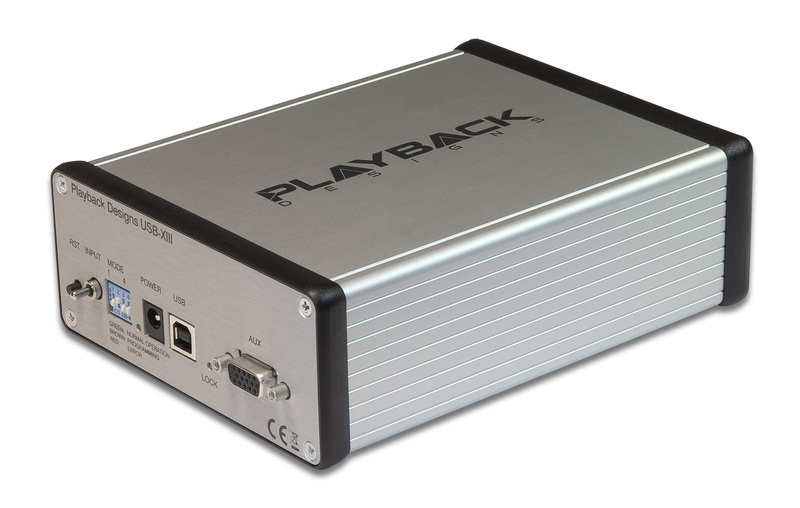 The USB audio interfaces for all Playback Designs products are compatible with MAC OS* and Linux without any additional driver software. For computers running on the Windows operating system a driver software needs to be installed. *Preliminary tests with the most recent release of Apple's El Capitan OS X release (version 10.11) have shown that our hardware in all Classic products is no longer properly recognized when the USB cable is connected. This was not a problem with any of Apple's older releases (Yosemite and older). This appears to be a problem with Apple's new USB driver which is built into the OS. We are working on a hardware upgrade kit to address this problem and are planning to launch this later in 2016. In the meantime we recommend to not update your Mac to El Capitan, or revert back to the previous release (Yosemite). 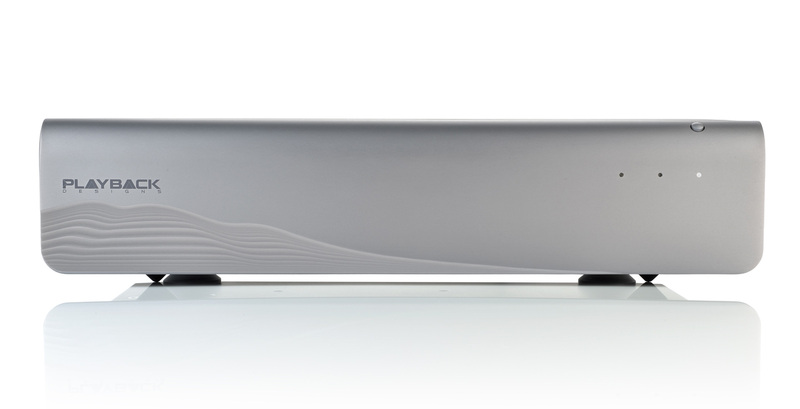 All our products in the new Sonoma line are already fully compatible with El Capitan. 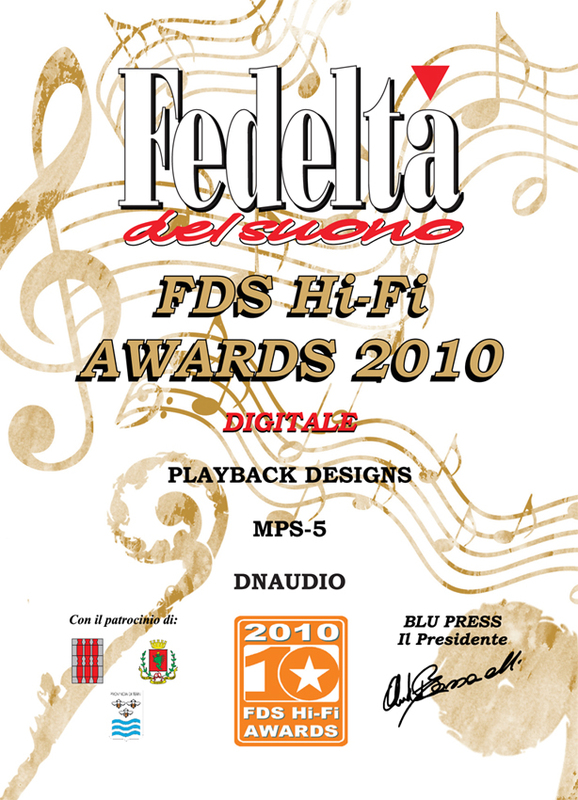 A correct driver installation and computer software setup can be tested by playing a special bit pattern through the USB input of all Playback Designs products. When your computer system is correctly set up the front panel will display "Bit Perfect" after completion of playback. See product manual for more details. Download and unzip the new version and then follow instructions in the user's manual for updating your product. Please follow the directions in the manual carefully and the update will be very easy. If you have any problems please contact your dealer. 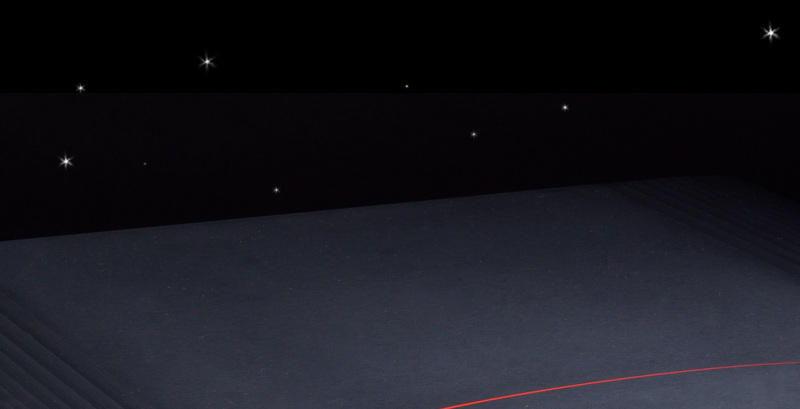 Product updates are available here to download. They can ONLY be downloaded and installed via a PC. MAC computers WILL NOT WORK. As updates are are released, there will be a notice in the “News” section of this website. 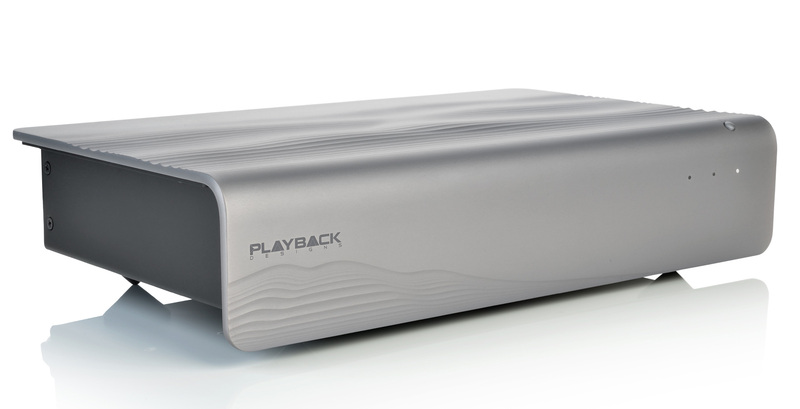 If you have a PC, please download and install the Playback Designs Update Utility (PDUU) first and follow with downloading and unzipping the update for your product. Please note the location of where you unzip the file. 1. Download PDUU and install using a PC, NOT MAC. 2. Download proper Owner’s Manual and READ THOROUGHLY. 3. Download proper file (ex. 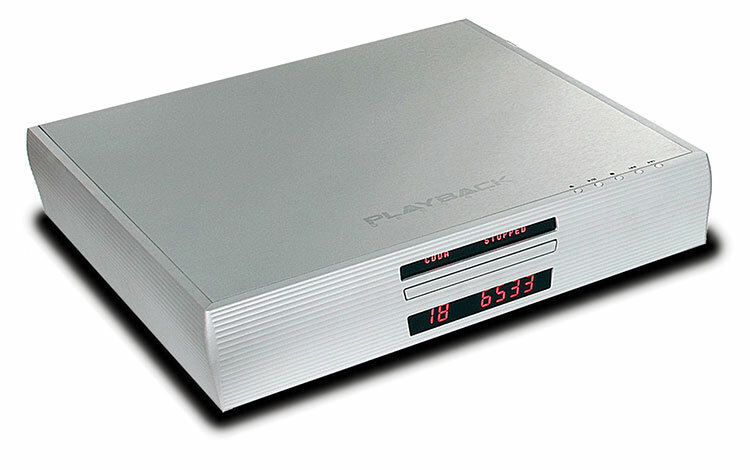 : MPS-5 SACD / CD Player) and extract all files. 4. 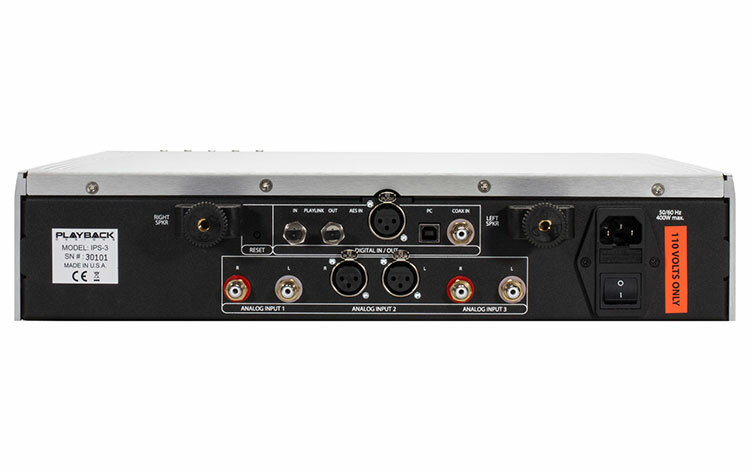 Connect laptop via a USB cable to the “software” port on the MPS-5. 5. Double click the “Playback Designs Update Utility” icon on your desktop. 6. Verify “Connected Equipment”. If window is empty, click “Refresh List” button. 7. In “File to transfer” window, click “Browse” button on right and search for the file: MPS-5_01029.ace (for MPS-5). Once found, make sure the file appears in the “File to transfer” window. Please follow the directions carefully and the update will be very easy. If you have any problems please contact your dealer. 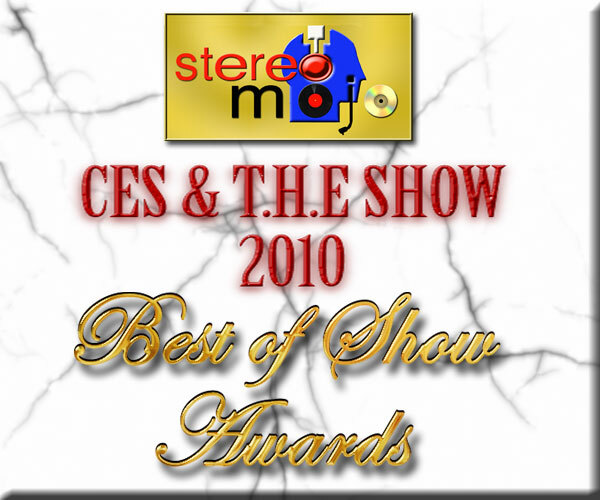 Below you will find files which include high resolution pictures of our products. If for some reason you are having problems downloading them, please send us an email. Use this test tones to level your Pinot ADC as described in the user manual. 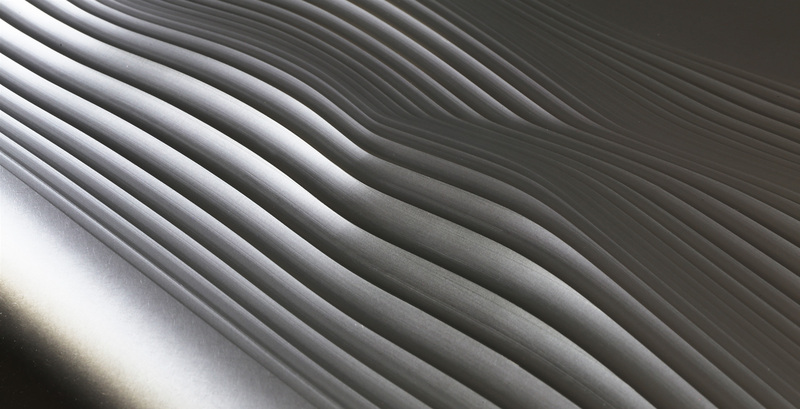 Download the user manual for your product. Go to support for downloading your update. 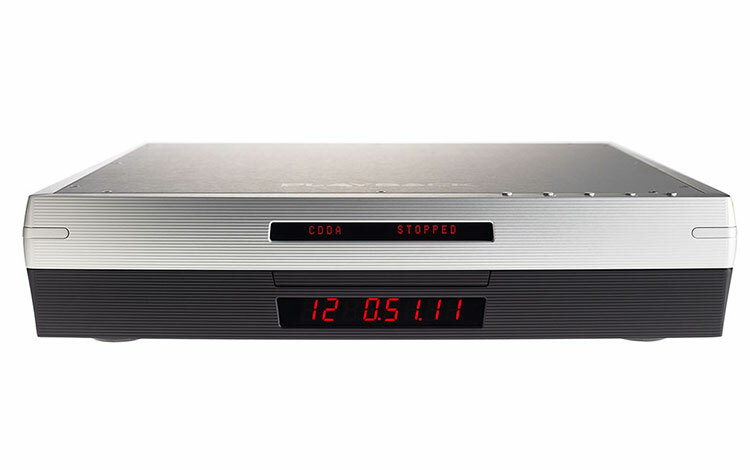 The new Streaming Interface "Stream-IF" brings streaming services to all our products. Available from April 2019. Go to product accessories to read more! 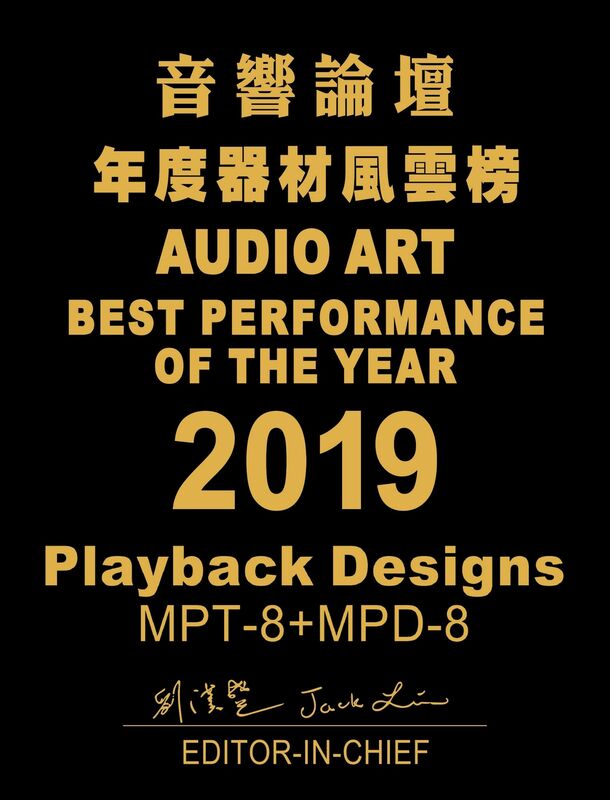 2019 January, MPT-8+MPD-8 gets Audio Art award "best performance of the year 2019"
2018 October, A Native DSD Top 20 Best Seller - Using the Playback Designs Pinot ADC! Go to Native DSD to find the album. We are very happy to welcome our new distributor for Italy! Visit them on their website! 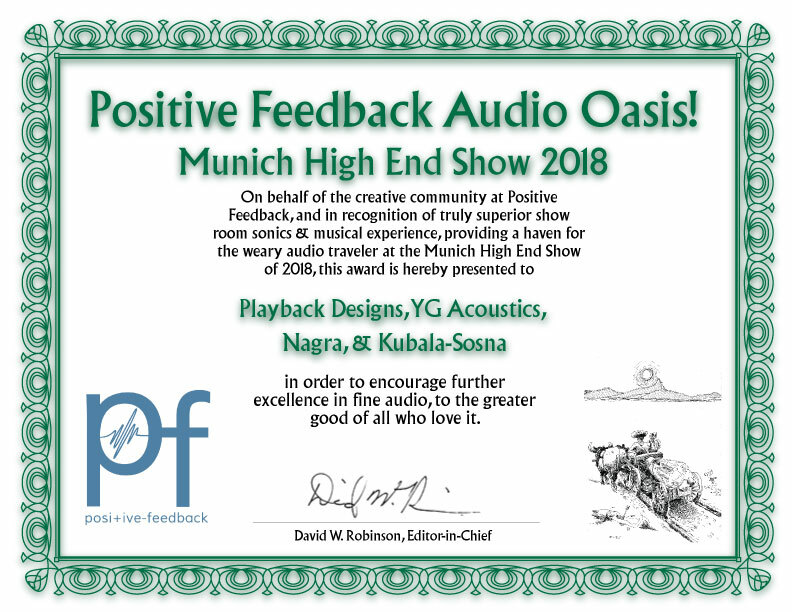 Come visit us at the HighEnd show in Munich between May 10th to 13th. We'll be in hall 3 at J10 and happy to welcome you! Playback Designs gratefully receives the Positive Feedback Audio Oasis award for their room at Axpona 2018 together with YG and Kubala-Sosna, thank you! 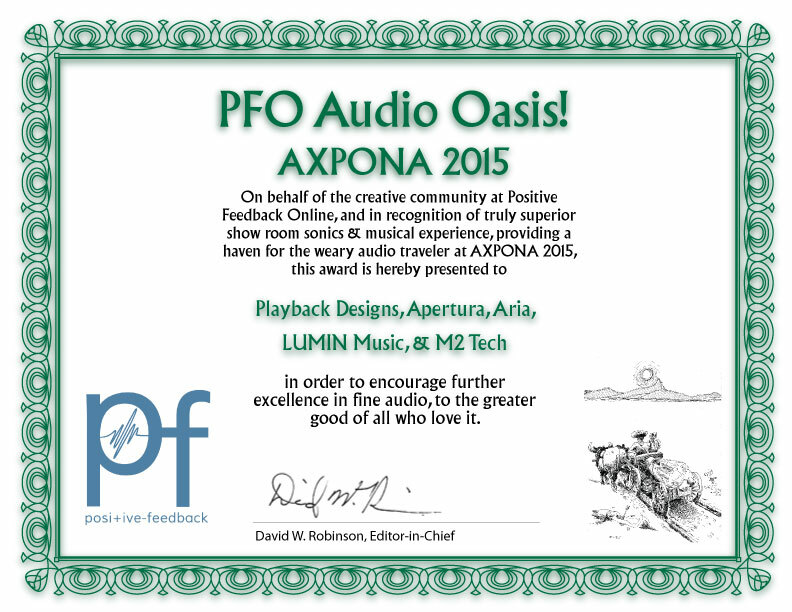 Come visit us at the Axpona show in Chicago between April 13th to 15th. We'll be in room 396 and happy to welcome you! We are proud to announce that our new Dream Series can now be officially ordered! 2017 December, product of the year award! 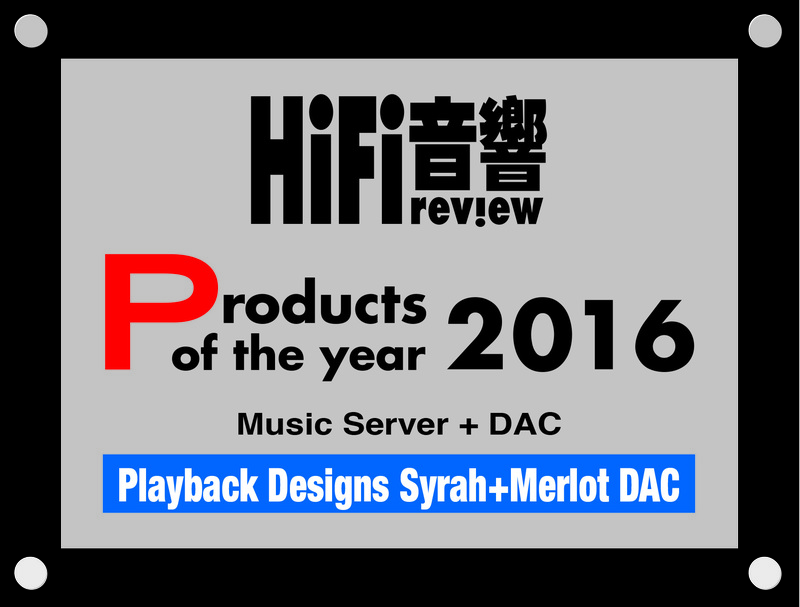 Playback Designs Merlot DAC got the product of the year 2017 award from the absolute sound! 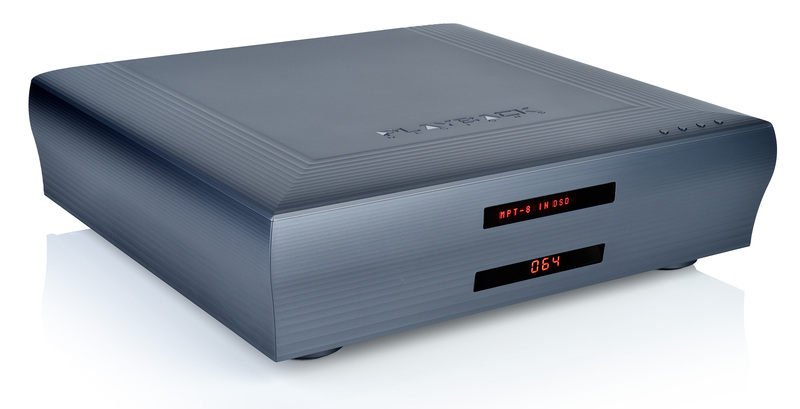 Find out more about the upcoming dream series in our new product briefs! 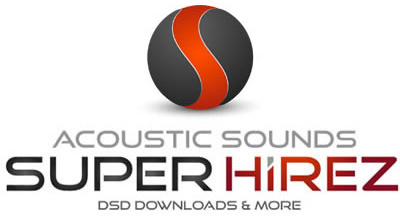 We happily like to introduce and welcome Highendscout as our new distributor for Germany! 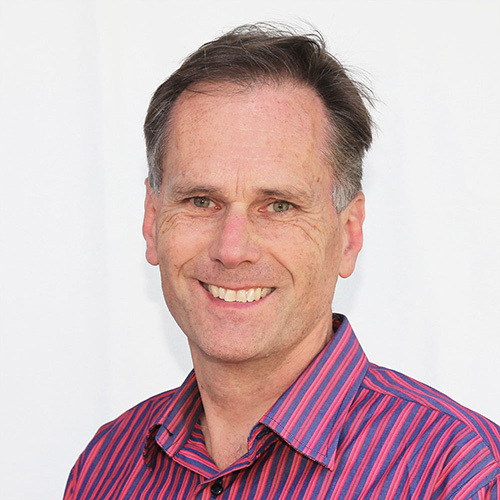 Daniel Gottschalk and Frank Pietersen will now take care of our valued dealers of the german market. 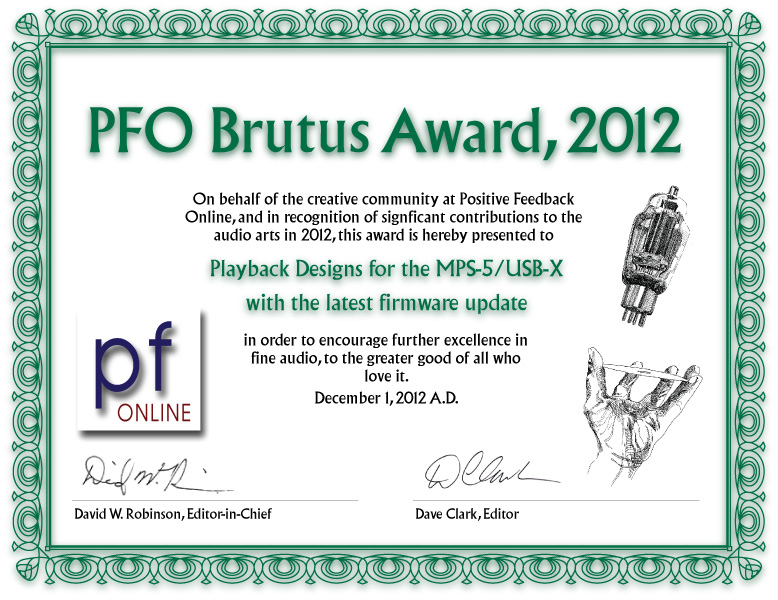 A new firmware file 01030 for the MPS-5 is available for download. It fixes a minor issue when using the USB-XIII. 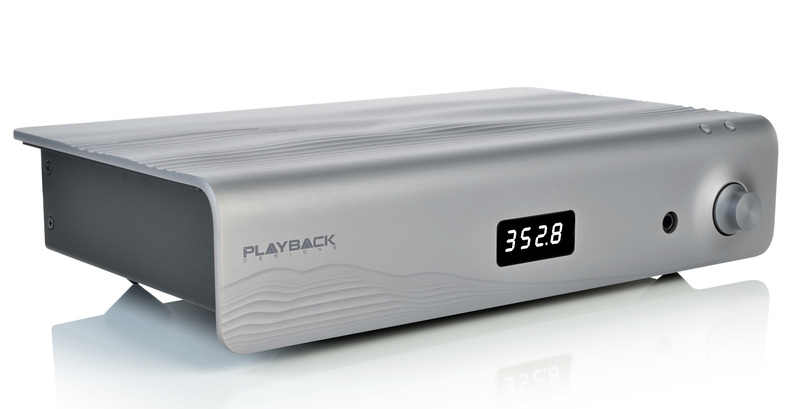 Playback Designs is showing the new dream series products in Munich from 18th to 21st of Mai. This hardware modification kit is now compatible with all Oppo103 and Oppo203 players and adds an optical interface for direct connection to any Playback Designs DAC for native playback of any format played on Oppo player. When ordering please specify the type of player (103 or 203). 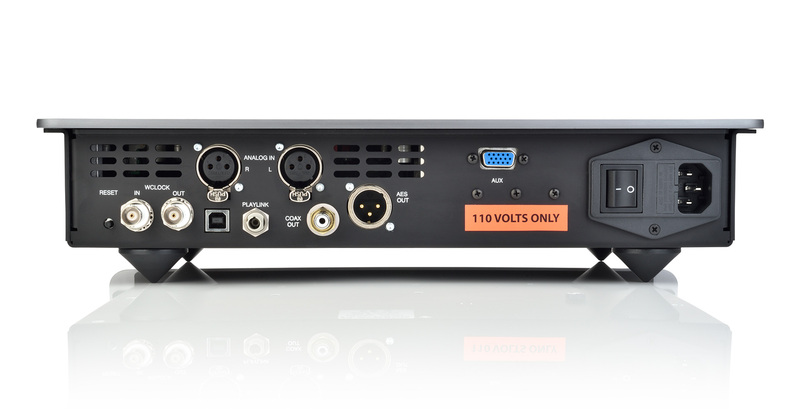 New USB-XIII interface released. Click here for details. 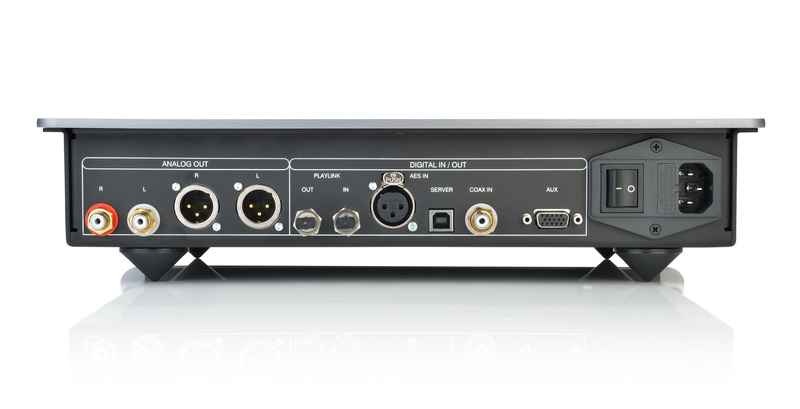 New software version 29 released for 5-series to support USB-XIII interface. Click here for details. 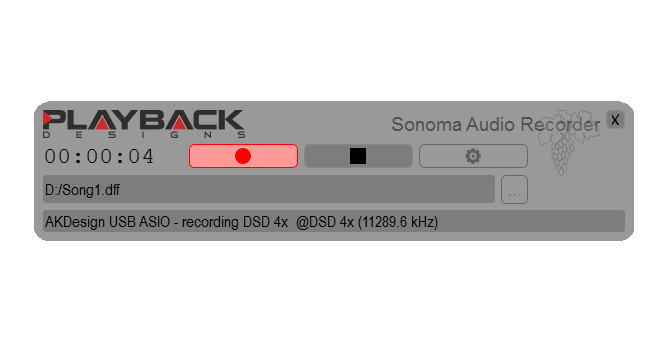 The version 1.1.3 of the Sonoma Recorder software is released. 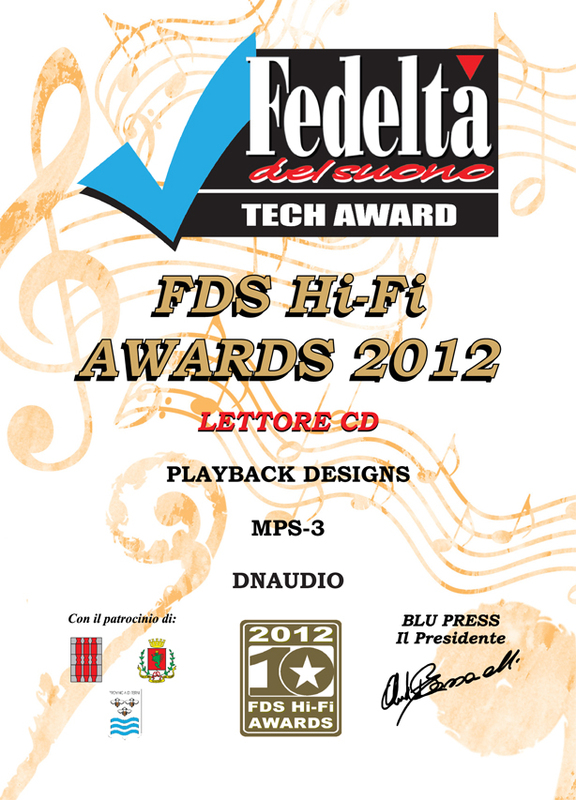 It fixes a bug, some third party software (AudioGate, Pyramix) could not play the generated .dff files. 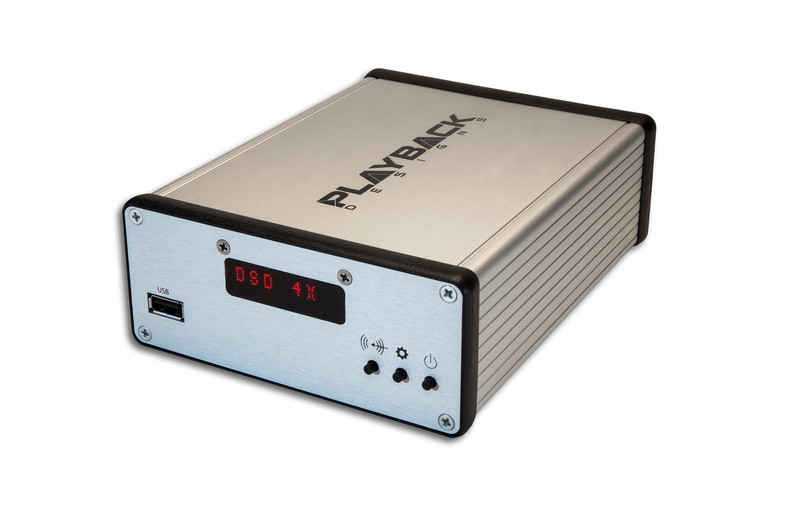 Playback Design announces the production release of their new Pinot A/D converter as part of their SONOMA series system incorporating the latest QUAD-DSD FPGA technology.This ground-up new ADC product brings the performance and emotion of the finest analog recordings to the digital home and professional music playback system. 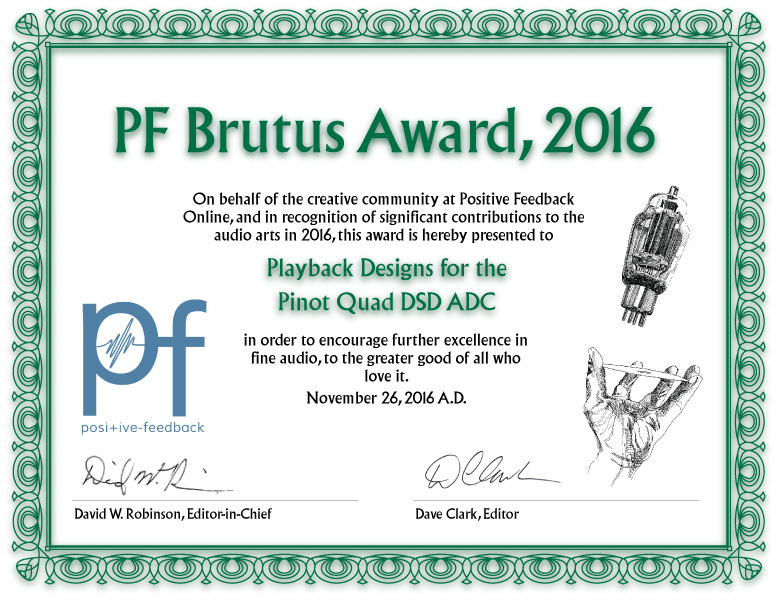 Tests with critical listeners revealed that the Pinot ADC is so transparent that it could not reliably be distinguished from the analog source. 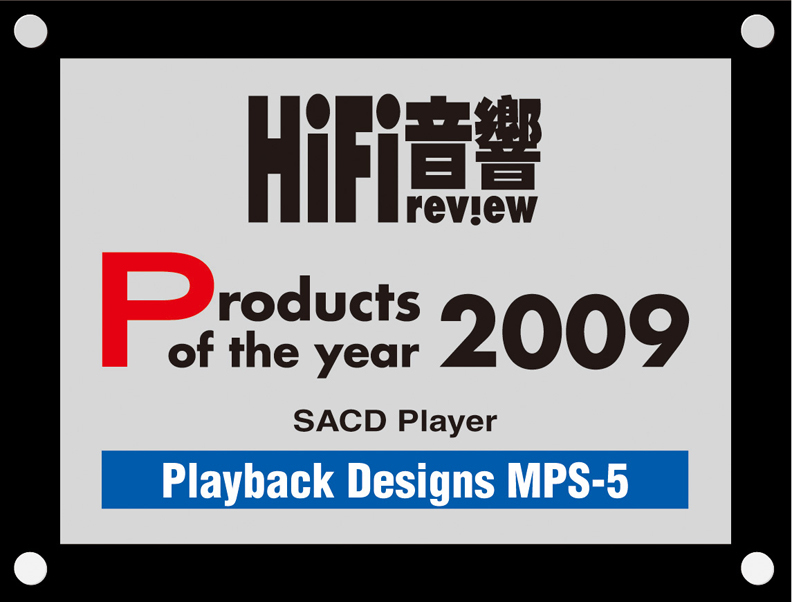 Following our tradition to always support our loyal customers with their existing Playback Designs products we are preparing an upgrade kit for all 5- and 3-series players and DACs. 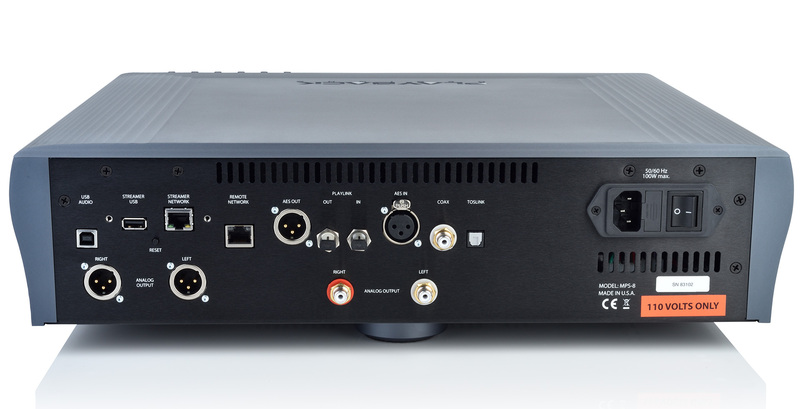 This will add the capability to play quad DSD files which can be generated and recorded with our new and upcoming "Pinot" A/D converter, and also address the issue with Apple's USB driver. The upgrade kit will be available later in 2016. 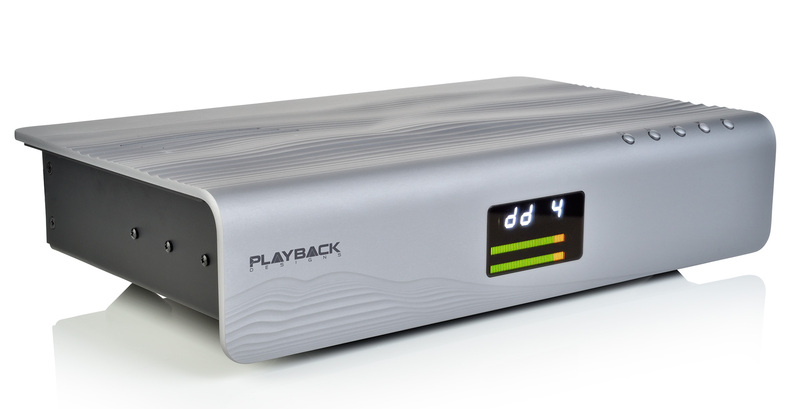 Playback Designs is showing the new sonoma line products in Munich from 5th to 8th of Mai. 2015 Oktober, Issue with Apple's "El Capitan"
Preliminary tests with the most recent release of Apple's El Capitan OS X release (version 10.11) have shown that our hardware in all Classic products is no longer properly recognized when the USB cable is connected. This was not a problem with any of Apple's older releases (Yosemite and older). This appears to be a problem with Apple's new USB driver which is built into the OS. 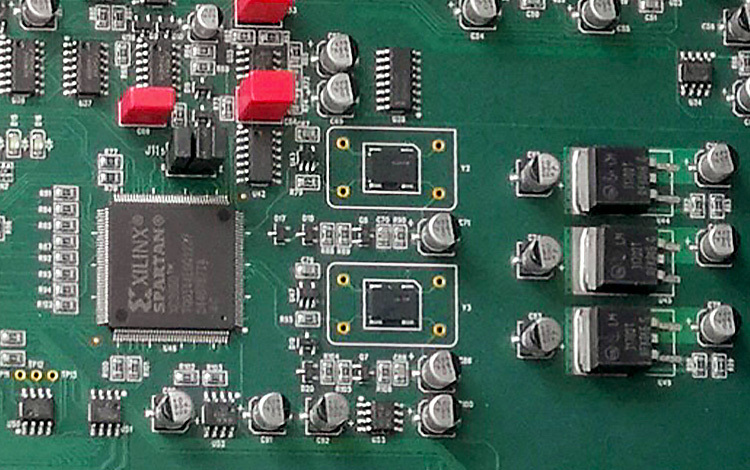 We are working on a hardware upgrade kit to address this problem and are planning to launch this later in 2016. In the meantime we recommend to not update your Mac to El Capitan, or revert back to the previous release (Yosemite). All our products in the new Sonoma line are already fully compatible with El Capitan. We are proud do present our new homepage! Beside the all new design it is now easier for you to get product related downloads. Come see us this year in Munich, Germany on May 14-17 for the High-End Show at Stand F01 in Halle 3. 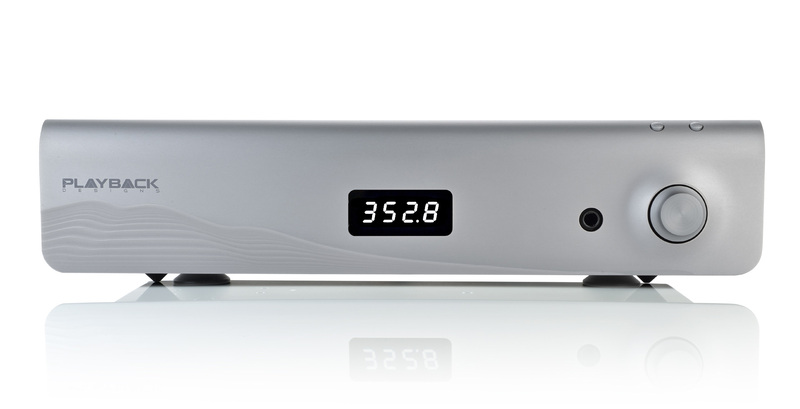 Our integrated DAC, pre-amplifier and amplifier will be the center piece in a special demo for DSD multi channel in room K1B. 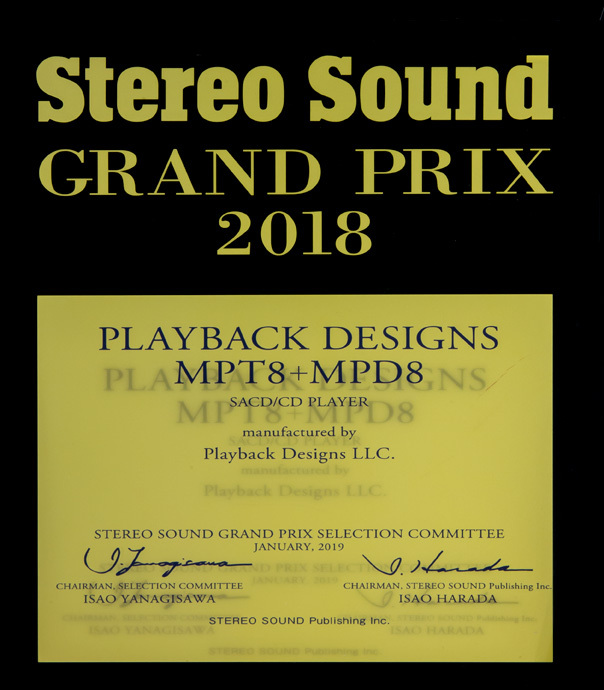 Recordings from Pentatone, Channel Classics, Opus3 and many others that have never been published before will be presented by their recording artists. Don’t miss this unique opportunity. Seating is limited and we anticipate only few empty seats. Come early to get your special invitation card. 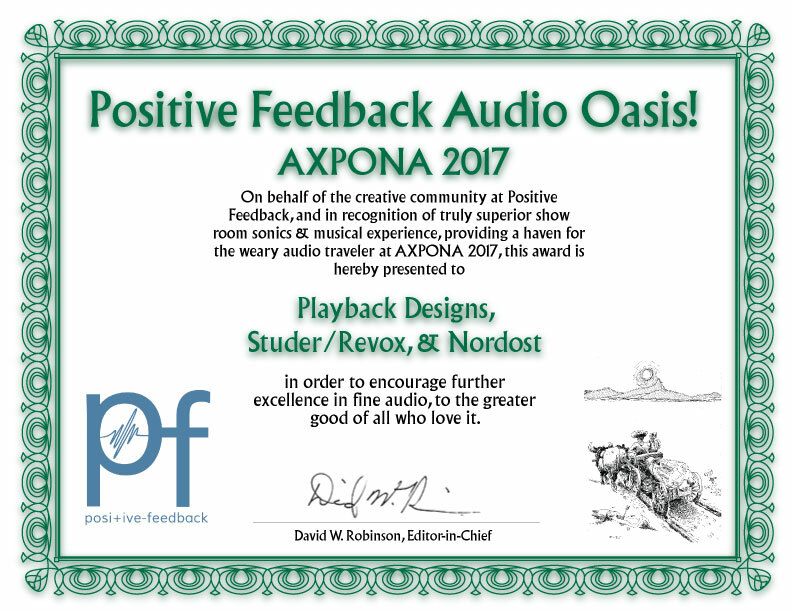 Come see us this year in Chicago on April 24-26 for Axpona (Audio Expo North America) in Room 402 at the Westin O’Hare hotel. We will be showing our integrated amplifier, pre-amplifier and DAC, the IPS-3 (Integrated Playback System 3) in the Source System room along with Lumin, Aria , Apertura among others. We have posted a new version of our firmware. 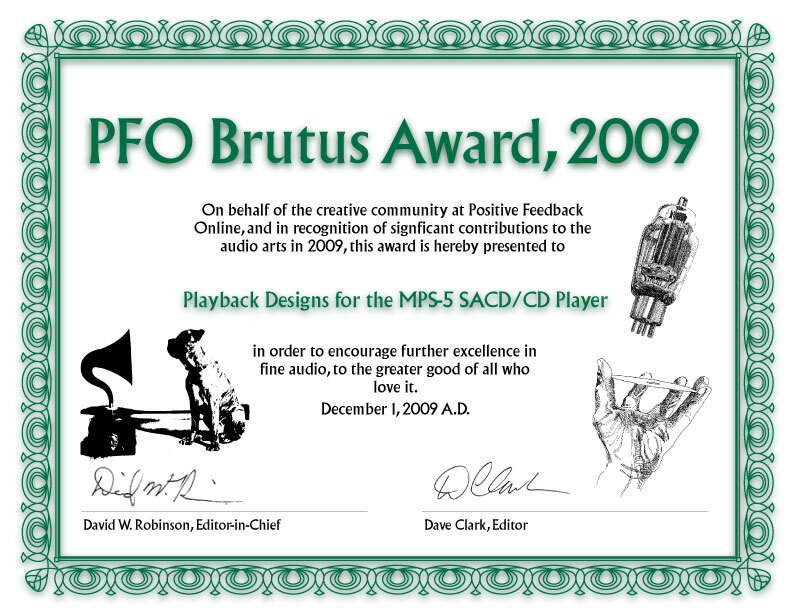 Please update your MPS-5 by downloading the newest firmware from our “Support” page. This update is for bug fixes. The floodgates are opening and if you have not setup your system for playing DSD files, now is the time to do so. Contact your dealer to help you get up and running. 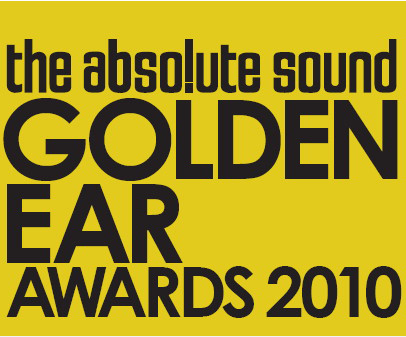 It is easier than you think and now that the mainstream music is become more available, you have no excuse! © Playback designs. 2018 All Rights Reserved.